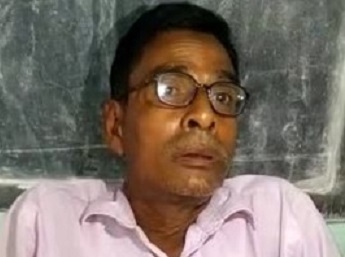 On the basis of three different FIRs, the Bokakhat Police arrested the headmaster of Silveta LP School in Golaghat district on Tuesday for his alleged involvement in molesting a minor girl in the school premises. As per reports, Jogdeb Saikia, the headmaster of the school, which is located at Naharjan Tea garden in Bokakhat, allegedly molested a girl student of Class IV in the school premises on June 9, 2018. Later, the girl somehow escaped from the situation and told about the incident before her mother at home. The Village Defence Party (VDP) and members of the school’s governing committee rushed to the school as soon as the incident came to light on June 11, 2018 and took the cognizance of the incident. Locals alleged that the VDP and the school governing body tried to settle the incident by taking an amount of Rs 50,000 as fine from the headmaster against a bond. But the Naharjan tea estate unit of the All Assam Tea Tribes’ Students’ Union (AATTSU) when came to know about the incident immediately informed it to the Bokakhat unit of the AATTSU and lodged an FIR against the accused on Tuesday. Meanwhile, the Bokakhat unit of AATTSU and the victim’s mother separately lodged FIRs at Bokakhat Police Station on Tuesday against the accused. On the basis of all three FIRs, a case (No 258/18) was registered and the accused was arrested. Meanwhile, the Bokakhat Sub-divisional Elementary Education officer has suspended the headmaster.